The lakes in Finland are very characteristic for the landscape in the country, and Finland invites to get out and be active all year around. Of course, the summer season is a highlight for the locals by the lakes. Many Finns go out here fishing, canoeing and kayaking. More and more tourist comes and joining them. Throughout the summer the Midnight Sun dominate with amazing light experience and long days, and in Finland, the many beautiful national parks invite for hiking. By the many local tourist offices and operators, tourists can easily rent a cottage by the lake and park. Deep in the north of Finland, you will find another side - called the Lapland region. Here you find the real nature with beautiful fauna in the summer and winter adventures. Rovaniemi is the biggest city up here and offers a lot of interesting local attractions for tourist all year along. Visit the Santa Claus Village - hometown for Santa. Go on a Northern Light hunt or try out some of the exciting winter activities like skiing, snowmobiling or dog sledding. In the summer sit down in the beautiful nature by a lake a perhaps try to catch a fish. Remember to visit a sauna and spa when you are here. It is the special Finnish lifestyle, and you will find one nearly on every corner. Even the Parliament has one. You can also join one of the fantastic spa hotels throughout the country. Spoil your family with the most luxurious treatments. The Market Square or Kauppatori is one of the most visit and enjoyable cosy places in Helsinki. 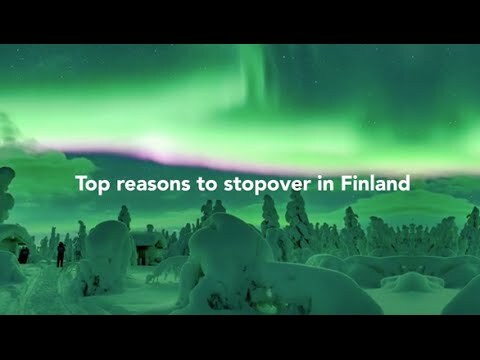 What visa you need for visiting Finland depends on your nationality and purpose. In summer, pack a t-shirts and shorts, but take also along a pair of jeans and a shirt with long sleeves.